School is out, the weather has made a turn for the better, and we are all excited for summer at the pool. Swimming has generated tons of great memories for our family. 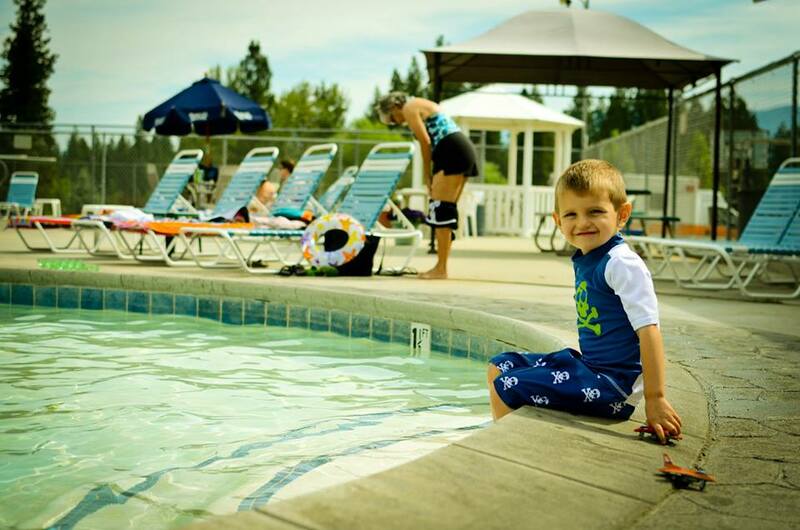 Growing up I learned to swim up at my grandparent’s resort in the mountains of Idaho and now my kids get to swim in that exact same pool every summer. I get a little nolgastic when I think about it. While swimming is fantastic fun and a great recreational activity, it is a good idea to keep a few summer swimming safety tips in mind. It’s always a good idea to learn how to administer Cardiopulmonary Resuscitation (CPR) in case of an emergency. Never allow your kids to swim alone. Older kids should always swim with a buddy. To prevent serious injuries, never dive head first into a body of water that you are unfamiliar with. Be sure to wear sunscreen at all times when outside, even when there is cloud cover. My dermatologist recommended an SPF of at least 50 for my family. Keep your cell phone in the pool area. Being able to call 911 quickly can be the difference between life and death. Be sure to enroll your children in swimming lessons at an early age. We have been attending Goldfish Swim School for the past few months and have seen a dramatic change in my son’s swimming ability. My daughter is extremely fearful of the water and is also make good progress. Because of her fears, we have decided to keep her in swim lessons year-round which are easy to do at Goldfish Swim School because their facilities are all indoors. I have felt my anxiety around water start to fade as my kids make more and more progress in their swimming ability. 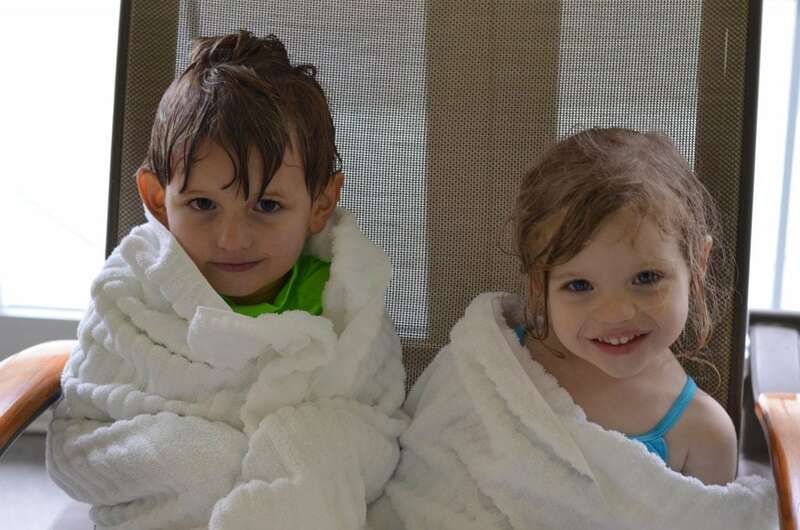 How do you prepare for summer pool time? Do you benefit from swimming daily with your kids? 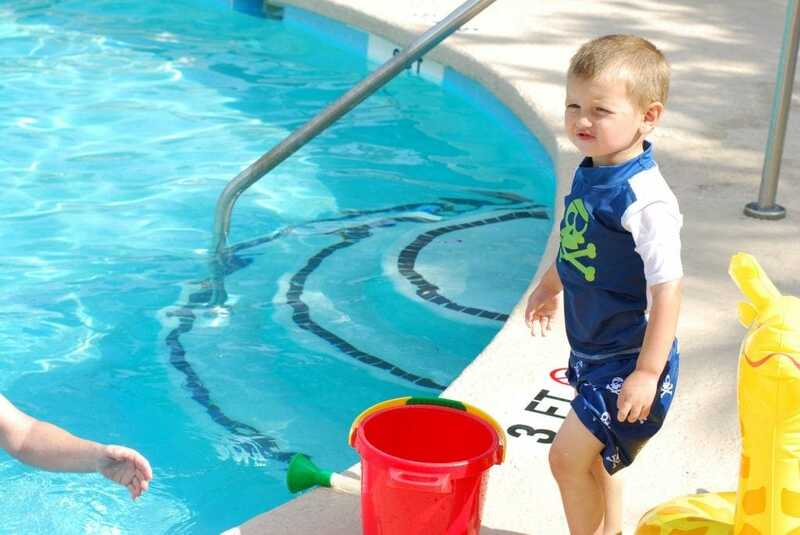 Do you take advantage of local swim lessons? I highly recommend looking at Goldfish Swim School for your little ones. We love the instructors and the curriculum that they offer. For more information about Goldfish Swim School be sure to visit their website.